Hillside Cemetery is also the final resting place of actor Dudley Moore, famous for his 1981 film Arthur. William Nelson Runyon, the 50th NJ Governor, is also interred at Hillside, along with several US Congressmen. Eli Long (1837-1900) was a Civil War Union Major General who is interred at Hillside Cemetery. Also interred at Hillside is Julian Scott (1846-1901) who was a Drummer boy for Third Vermont Infantry and is a Civil War Congressional Medal of Honor Recipient. The main gallery at Johnson State College, in Johnson, Vermont, is named in Julian Scott’s honor. 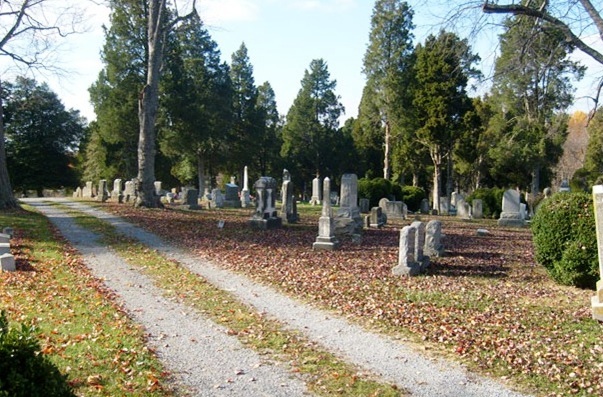 Fairview Cemetery in Westfield was founded in 1868 and is the final resting place of Virginia Apgar, famous for developing the Apgar Score system to test the health of a newborn. Joseph Collins, also interred at Fairview Cemetery, played for the New York Yankees from 1948 through 1957, including seven World Series competitions. Claydes Smith, guitarist for Kool and the Gang, died in 2006 and is interred at Fairview as well. The Fairview Cemetery’s most notorious residents are the Lists. Frederick, Helen, John, and Patricia List were all killed by John Emil List who disappeared for 18 years before being captured and sentenced to life in prison. Evergreen Cemetery and Crematory on North Broad Street in Hillside is the final resting place of Civil War Union Brevet Brigadier General James Bomford and of Civil War Congressional Medal of Honor Recipients William Brant, Jr., Rufus King, and James Madison Drake. Adoniram Judson Clark, a Civil War Union Army Officer who commanded Battery B of the New Jersey Light Artillery is also buried there, as is Civil War Union Army Officer Adolphus Johnson, who commanded the 1st New Jersey Militia. Civil War Union Army Officer Luther Martin served as the Captain of Company D in the 11th New Jersey Infantry is buried at Evergreen as well. Seven United States Congress men are also interred at Evergreen Cemetery. Novelist and poet, Newark born Stephen Crane died at the age of 28 and is interred at Evergreen Cemetery. He is perhaps best known for his novel The Red Badge of Courage about a young Union soldier named Henry Fleming. Crane himself had never fought in battle. Author Barton Wood Currie, who wrote the story of Peary’s polar expeditions, is also buried at Evergreen. Mary Mapes Dodge, author of Hans Brinker, the Silver Skates, died in 1905 and was buried at Evergreen. Edward Stratemeyer, author of The Bobbsey Twins is also buried at Evergreen. Hazelwood Cemetery on Lake Avenue in Rahway is the final resting place of Civil War Union Brevet Major General Harvey Brown. Rahway Cemetery on Saint Georges Avenue in Rahway is the final resting place of two Civil War Union Army Officers. Walter Bramhall commanded the 6th Battery of the New York Independent Volunteer Light Artillery and John Cladek served as Colonel of the 35th New Jersey Volunteer Infantry. Rahway Cemetery is also the final resting place of one unknown woman who was the victim of a Victorian murder mystery. She was in her early 20s with blue eyes and brown hair when her unidentified body was found early in the morning of March 25, 1887 in the mud on Rahway’s Central Avenue. Her throat had been slashed and her face had been beaten. When she was killed, she was wearing a feather trimmed green dress and carrying a basket of eggs. No one ever came forward to identify the mystery woman or to provide any information.